There is a common misconception, even amongst very experienced tile installers, that tile is waterproof. To be very clear: No type of tile is waterproof. Even if the tile is sealed it is not waterproof. Grout is also not waterproof. Even if sealed grout is not waterproof. So Why Do We Use Tile in Showers Then? Tile is also a very environmentally friendly material. Grout is used to fill the gaps where two pieces of tile meet. There are good quality tiles and bad quality tiles. Similarly there is low quality grout and high quality grout. But their purpose is not to waterproof anything, their purpose to to protect and look good. A shower is exposed to lots of water. For example the city of Seattle, well known for being wet and rainy, gets about 30 inches of rain per year. By comparison the average shower gets about 1100 inches of water per year. 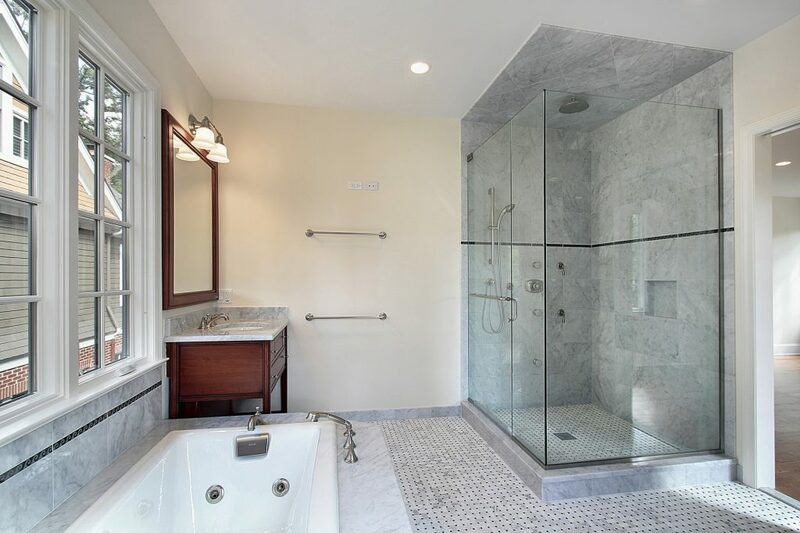 At best, if the moisture management system in your shower is not performing properly you can get a smelly moldy shower that is not fun to use. At worst, you could actually cause damage to your home. So How Do We Waterproof Showers? 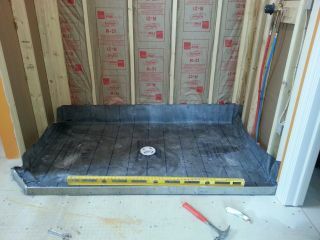 The waterproofing of a shower is done before the tile is installed. The floors, walls and sometimes ceilings need to waterproofed prior to tile install. There are two basic methods to waterproof as shower. 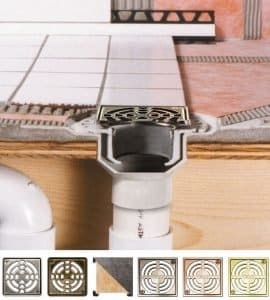 The Tile Council of North America (TCNA) call them the Water in, Water Out method and the Sealed Shower System. All the components of a waterproofing system are called an assembly. traditional plumbing industry-recognized pan liner to be clamped to the base portion of the two-component drain. Another sloped mortar layer is placed on top of the liner. A mortar bed installation is necessary on top of the pan liner because the liners are thick and compressible and could not support tile by themselves. 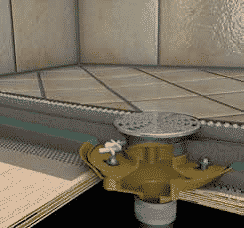 This traditional type of assembly is based on the concept that the water—which penetrates into the mortar layer through grout joints—will travel to the pan liner. Because the liner is on a sloped bed toward the base portion of the two-component drain with weep holes, water will then drain out of the mortar bed. The water in, water out method has been used for many many years and it can be very effective. However it is time consuming, complex and is prone to shortcuts and errors. Installers often skip steps in order to get the job done faster and the system is not well understood by a lot of installers. No pre-sloped mortar bed is installed before the pan liner. Weep holes are clogged by mortar or thinset causing the pan to hold water. As opposed to traditional “water in, water out” assemblies where the waterproof liner is beneath the mortar layer, “sealed” shower systems incorporate thin, bondable waterproofing membranes that are installed on top of the mortar layer, making sure it remains dry. An “integrated bonding flange” is specifically designed to allow thin, bondable membranes (whether sheet- or trowel-applied) to be bonded on its flange. The sealed system is simpler, and eliminates the thick mortar bed that can so easily get moldy. There is no need for a pre-slope mortar layer, a thick pan liner or a two-stage drain. Because moisture management occurs above the mortar layer, time-saving elements such as prefabricated foam shower trays and curbs can now be used—making installation even simpler and faster. If you’d like some more info on how to waterproof a shower or on the schluter system please shoot us a email or give us a call! Thank you for reading.